Full Face unpainted masks are ready to paint. 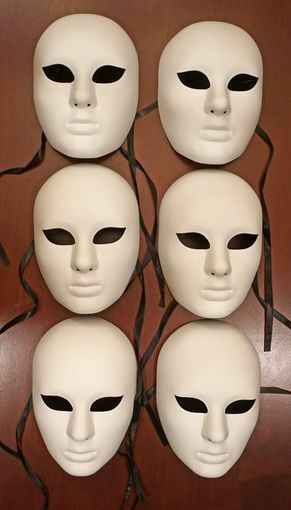 Masks are made of a non bendable PVC and come with black ribbon ties. Mask painters pack comes with six masks.